Diet is somewhat eating the right kinds of food in a balance way. It doesn't mean that you eat less comprising the nutrients received by the body. And sometimes, those 'diet' food doesn't taste good. I found out an easiest way of taking the right kinds of food directly delivered to your home. Yes, this is the so called Delicious Diet. As their name suggests, they are giving you the best kinds of food for your diet. And yes, the food were perfectly delicious giving you the term 'diet' a new meaning! Early this Monday morning, I received my complete set of meals for the whole day from Delicious Diet. It was composed of 4 meals for breakfast, lunch, snack, and dinner. The meals were of balance set as there were meat, chicken, beef, healthy rice, vegetable, egg, and bread supplementing our daily nutrients need. And yes, they all tasted awesome! I really appreciate the chef who created these great recipe! Thumbs up! Well if you want to have a delicious, healthy & calorie-counted meals everyday delivered directly in your home hassle free, feel free to contact Delicious Diet at their number 09088797915 or email them at emailus@deliciousdiet.com.ph. At an affordable price of Php 1,800/week, you can enjoy 3 meals + 1 snack per day. 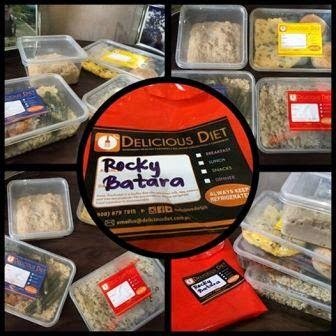 For more details about their products, you may visit their FB page at www.deliciousdiet.com.ph. And of course, you may follow then in IG via @deliciousdietph and in Twitter via @DDietph.